Now that the holidays are over, it’s time to pack it in for the year. Say goodbye to your friends, loved ones and the outdoors generally. Your only gods now are blankets, big fuzzy socks and the ol’ laptop—Keeper of Ten Thousand Movies and Even More Television. And what will you select as your succor for these endless, dark days of winter? 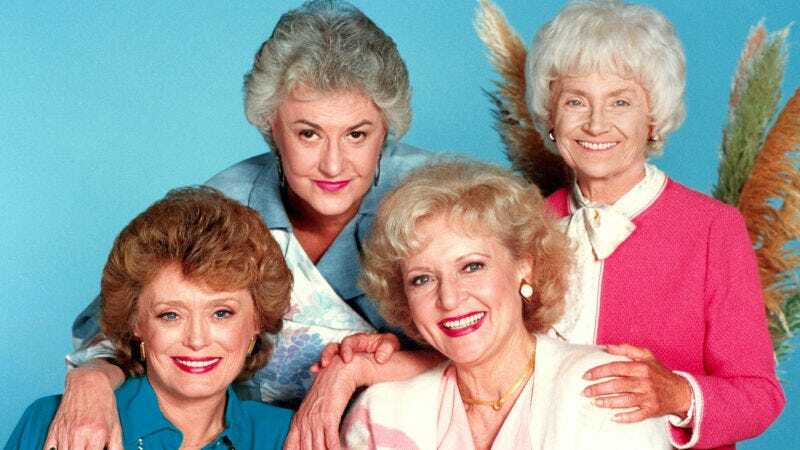 The Golden Girls is coming to Hulu. All of it. All seven seasons, starting on February 13. Bye! The news was announced during the Television Critics Association’s winter press tour in Pasadena on Saturday, inspiring a wave of audible gasps around the room. See? Craig Erwich, Hulu’s head of content, said during the announcement that the program will be “yet another classic, fan-favorite series” added to a lineup that also includes Seinfeld, South Park and Empire.